Anyone know Rob Singh or use Nsumbu Services?? he also goes by Prabh Singh, Prabh Ahluwalia and has lived in Arlington, Leesburg and Ashburn. He is a contractor. Re: Anyone know Rob Singh or use Nsumbu Services?? Why would you hire a Punjabi for a contractor? For a used camel , yes, or to make some curried bandicoot, of course, but to fix your deck, paint your house, no, I don't think so. very good, but ran into problems, forcing him to be dishonest. An honest person can't be forced to be dishonest. If you're not honest in all circumstances, you're not honest. Its more likely he came to you already dishonest. The 'problem' is just an excuse to rip you off. If you don't hire people based on their record and past performances, and only because they're third world refugees,this is what is going to happen to you. But hey, its your money. He is a crook and dishonors his own mother, leaving her holding the bag for bad checks that he forged on her checking account. The lowest of the low. His pictures are on the "Fairfax" forum. He may be in the area to visit his family during the Holidays. There is a facebook page looking for him with his picture. He may be in the area for the Holidays. Many are still loooking for him. He needs to repay his debts. 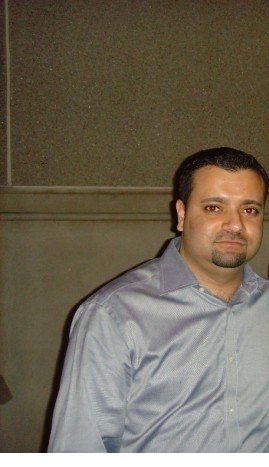 Please check facebook page "Where is Rob Singh, Prabh Singh, Prabh Ahluwalia" Has connections to the Ashburn area. There may be a reward option available.